This jumping (bouncy hopper) is children's favorite playmate! Your little ones will learn balance and coordination while riding on the Cow and having fun! The product fully complies with EU & US Toy Safety Standards. It contains no banned phthalates! Safe to play! 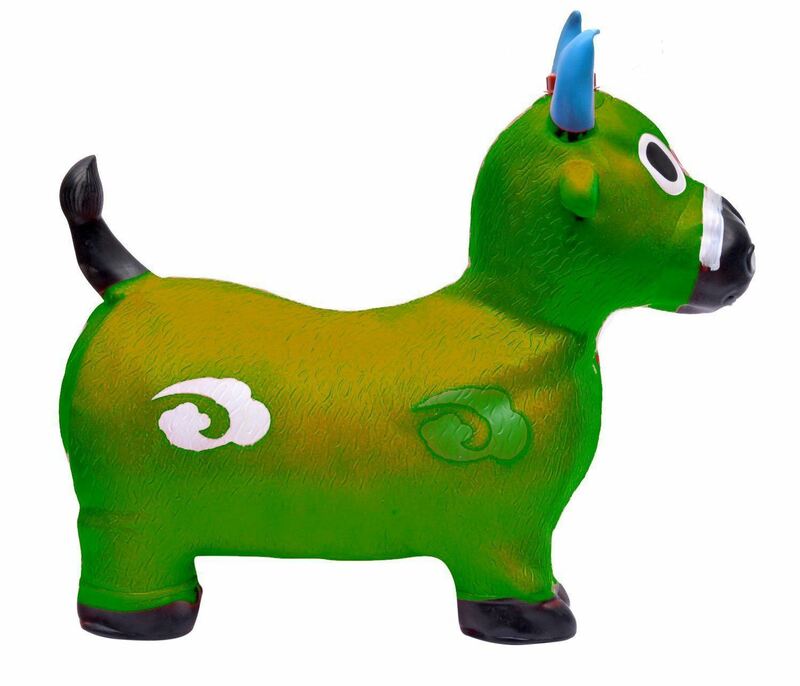 The Jumping Cow can be inflated to a saddle height of 28 cm/ 11 inches with a regular hand pump. Recommended Ages: 2 Years +. Children under 3 years old should be under direct supervision of an adult. Easy inflation: Take out the inserted white plug (air stopper) from the hole on the Cow belly; insert the tip of the pump and inflate the hopper to good size, and then replace the white plug back into the hole quickly. Bounce! Stable 4 legged Space Hopper, Bouncy Cow. Made from EU approved phthalates free pvc & contain no heavy metal elements. Safe to use. Inflated size appr. 58cm/23in from nose to tail; Seat height: 26cm/10.24; Body height:47cm/18.50in from ear to floor. Age group 3+. Age under 3 should be under direct supersion of an adult. Inflation instruction: Take out the inserted white plug (air stopper) from the hole on the Cow belly; insert the tip of the pump and inflate the hopper to good size, and then replace the white plug back into the hole quickly. Bounce!